Several ancient pithoi (large clay vessels for food and drinks) as well as medieval lead seals belonging to Byzantine dignitaries have been discovered by Bulgarian archaeologists in the excavations of the Upper Voden Fortress, also known as Voden or Votina, near the southern town of Asenovgrad. “It is very important that this year we found several lead seals that shed light on the residents of the fortress and their correspondence," Dukov says, adding that one of the seals belonged to Gregory Kurkua who was the Byzantine Duke of Plovdiv in the 11th century, after the Byzantine Empire defeated the First Bulgarian Empire (680-1018 AD) in 1018 AD, and conquered most of the Bulgarian lands. In his words, the Byzantine Duke of Plovdiv Gregory Kurkua probably had correspondence with Gregory Pakourianos (Gregorius Pacurianus), a powerful 11th century Byzantine politician of Georgian origin who is known as the founder of the Monastery of the Mother of God Petritzonitissa in Bachkovo, one of the most revered monasteries in today’s Bulgaria also located near the town of Asenovgrad. “[The Byzantine Duke of Plovdiv] was probably exchange letters with Gregory Pakourianos, and probably lived and died at roughly the same time as him," Dukov notes, adding that the archaeologists have found two other Byzantine seals – one anonymous, and another one that belonged to a man called Constantine Xenothynos. “These seals are interesting from the point of view of sigillography. This diplomatic correspondence is important to us because it can enrich our historical knowledge of this period," says the director of the Asenovgrad Museum of History. “Tandir is a specific type of oven which resembles a pithos but has more vertical walls. Fire is lit inside the tandir, and foods are baked in there. This technique is still used today in some parts of Asia. Some parts of the Rhodope Mountains [in Bulgaria] also use this method for roasting meat," Dukov explains. 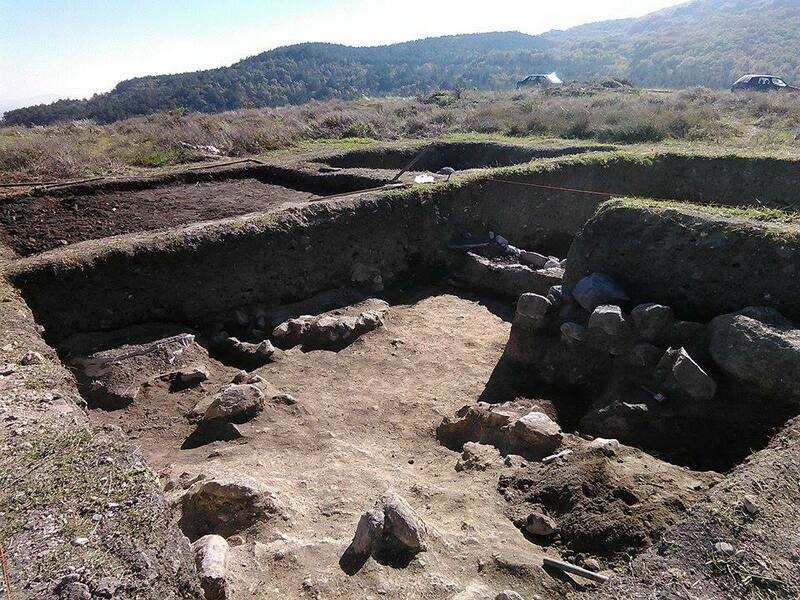 Update: During the official public presenation of the prehistoric, ancient, and medieval artifacts found at the Upper Voden Fortress and at Asen’s Fortress made in Asenovgrad on Monday, March 23, 2015, the Bulgarian archaeologists announced they had discovered that the earliest human settlement in the area of the two fortress dated back to the 7th-6th millenium BC, about 1500 years earlier than previously thought. Gregory Pakourianos (Gregorius Pacurianus) was an 11th-century Byzantine politician of Georgian origin who is said to have been the second most powerful man in the Byzantine Empire after the Emperor himself. Gregory Pakourianos is known as the founder of the Monastery of the Mother of God Petritzonitissa in Bachkovo, one of the most revered monasteries in today’s Bulgaria also located near the town of Asenovgrad. It was established by him in 1083 AD. Byzantine Emperor Alexios I Komnenos appointed him “megas domestikos of All the West” meaning he was the supreme commander of Byzantine forces in Europe. He died in 1086 AD fighting the Pechenegs at the Battle of Beliatoba (today’s Bulgarian town of Belyatovo).